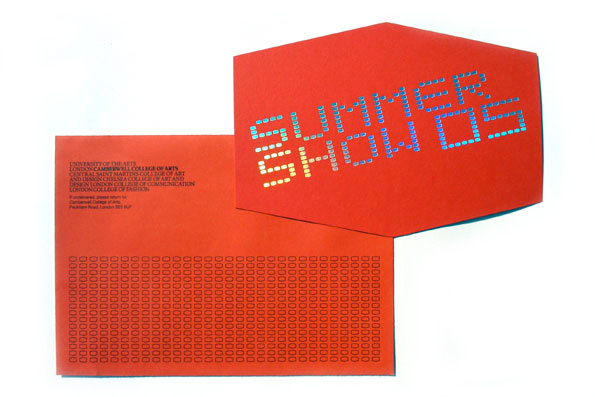 In April 2005, David was working with Daniele Latini to design the Degree Show invites for Camberwell College of Art. 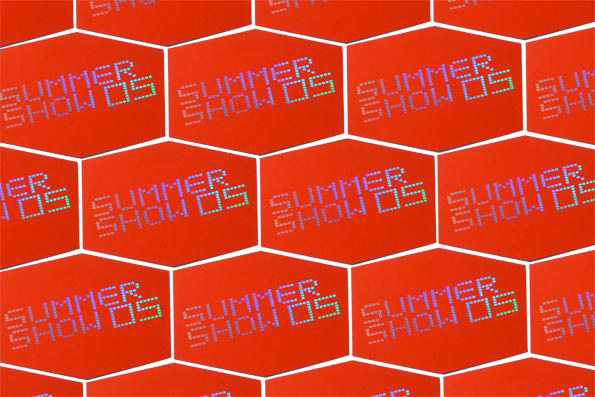 They worked alongside Martin Zähringer, James Finch and Marc Cowan, the final year Graphic Design students who came up with the concept of using the grid of the building’s facade as a unit to develop a typeface, logo and signage system for the show. 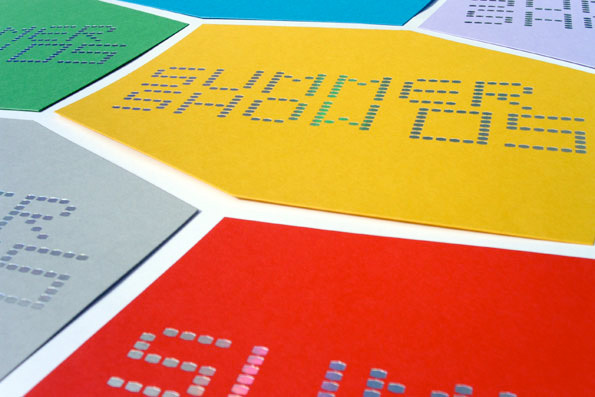 The concept was applied to the invitations, designing a set of 6 colourful invites and envelopes, blocking the front with a super diffuser foil from Benwell Sebard on Colorplan paper. 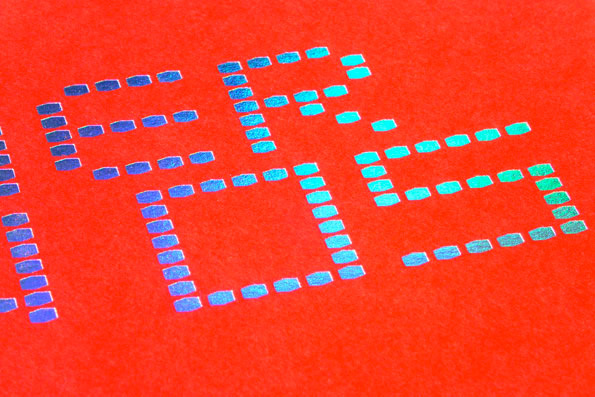 The project was reviewed by Creative Review (July 2005, p.30).